Suitable from birth up to 6 months. 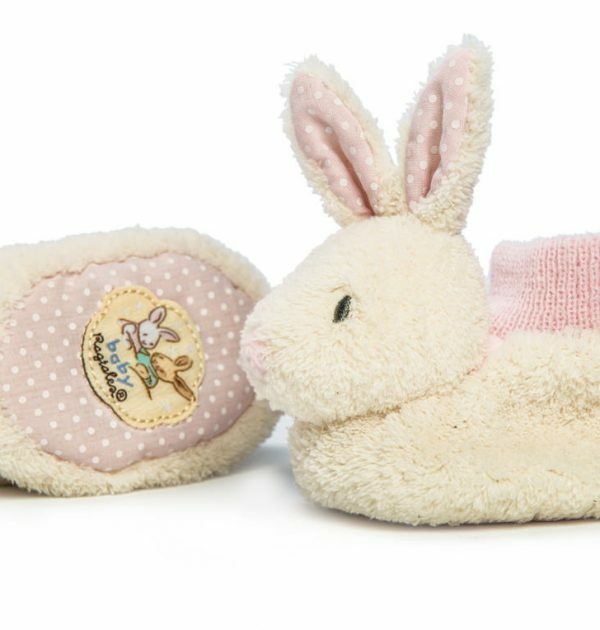 A delightful pair of soft, fluffy, cream, plush fabric baby booties and a cute bunny face. 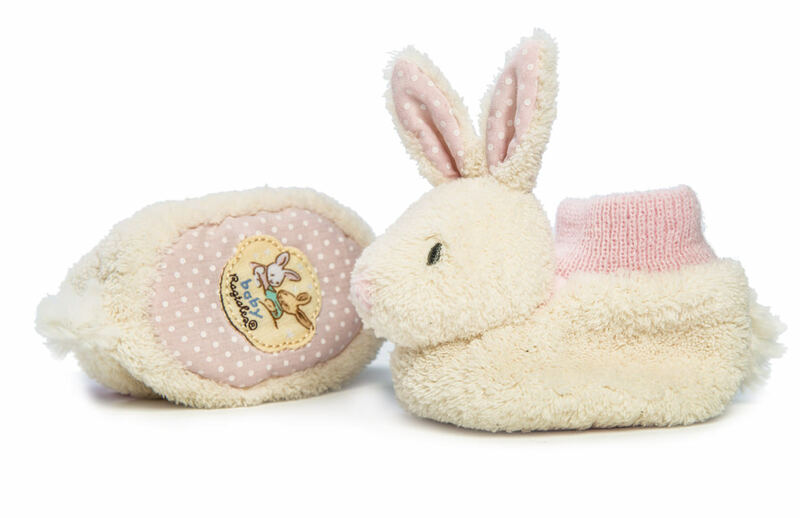 With floppy ears sewn with a contrasting pink polka dot lining, these gorgeous little booties are perfect for keeping your little one’s feet warm in the pram or cot. 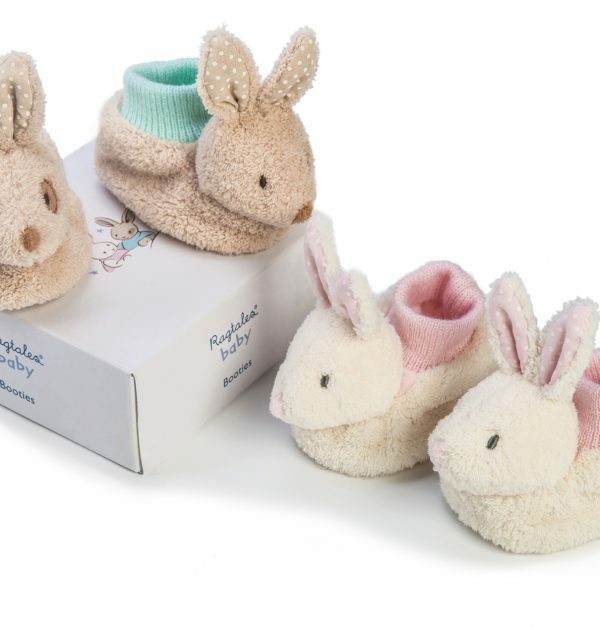 They have a stretchy, pink-coloured knitted cuff to keep them firmly on little feet, and they have the ‘Ragtales baby’ woven label stitched onto the sole.These delightful little booties are presented in a gift box for that perfect christening gift, baby shower or birthday present. Suitable from birth up to 6 months. Machine washable at 30 degrees. 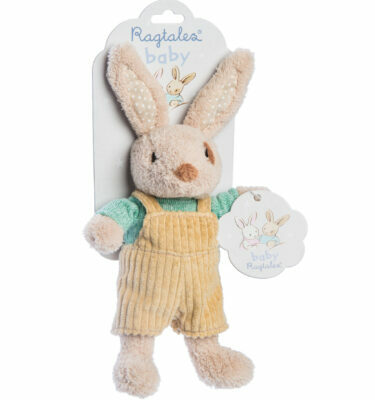 Fifi baby booties are part of the ‘Ragtales baby’ range, comprising of the booties, a rattle softie and a comforter.